On Foto Fridays, we will post random pictures with the same theme and discuss them. I planned to attend a local museum Thursday and take some “new” pictures for this week’s Foto Friday, but life got in the way. Fortunately, I have a stockpile of photos from previous occasions. I took this picture when Da Hype 1 and I visited Denver in 2012. Artists Claes Oldenburg (1929-) and Coosje van Bruggen (1942-2009) are known for their outdoor sculptures in the United States, Europe, and Asia. Their art projects are often large-scale reproductions of ordinary objects. 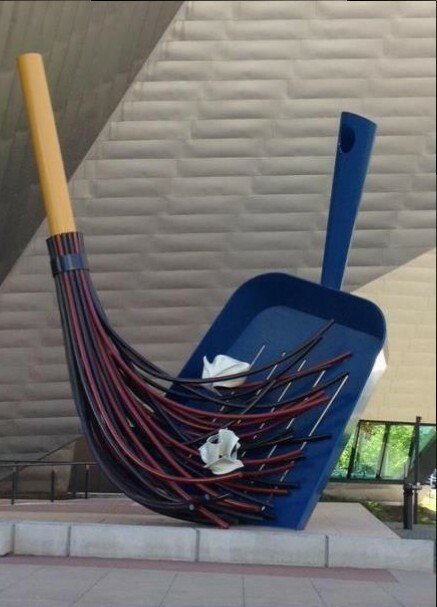 This giant sculpture of a broom and dustpan, called “Big Sweep,” is outside the Denver Art Museum and is over 31 feet high and 25 feet wide. I love flowers. I don’t know how to keep them alive or the proper names for most of them, but I love them. 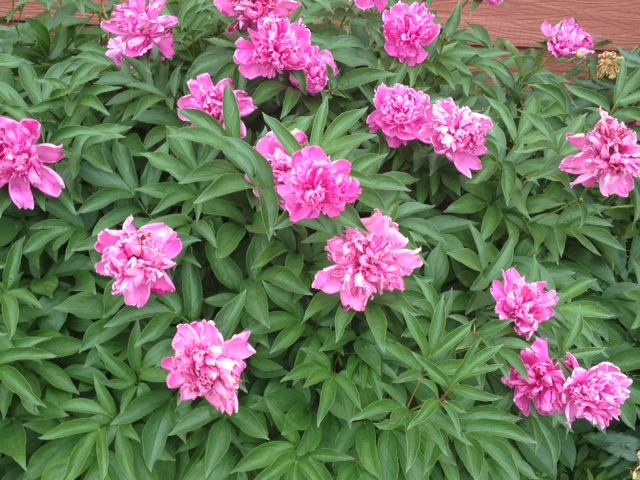 In summer there are beautiful flowers everywhere. Case and point. I found these beautiful flowers growing behind my local bike shop. I stopped to admire them and decided to photograph them as well. I’m so glad there are people who have green thumbs. Have you heard about the “Little Free Library” Project? I first saw the libraries on Pinterest and thought, What a great idea! It’s a neighborhood book exchange that started in Wisconsin in 2009. Now there are more than 15,000 around the world, including the one that I recently found in my neighborhood. 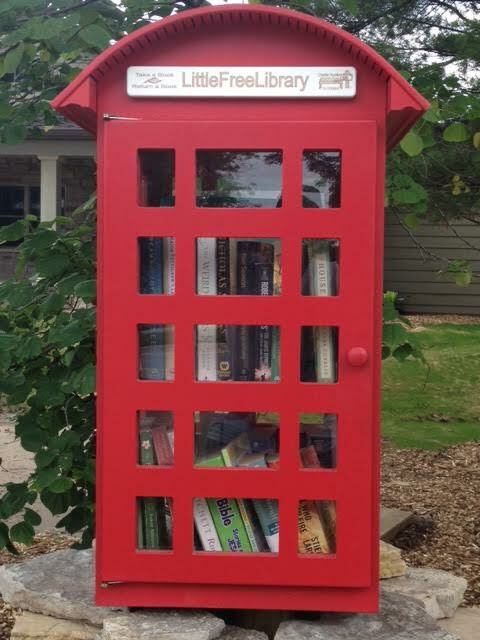 Little Free Library, Coralville, Iowa. Sharing books, encouraging literacy. I LOVE IT! The books are free. 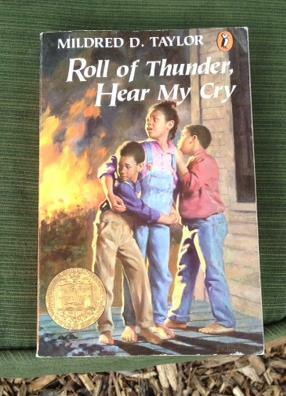 The idea is to share your favorite books–“take a book, return a book.” I didn’t take a book, but I brought a contribution. My Little Free Library contribution. I was walking on the campus of Middle Tennessee State University when I came across this scene. 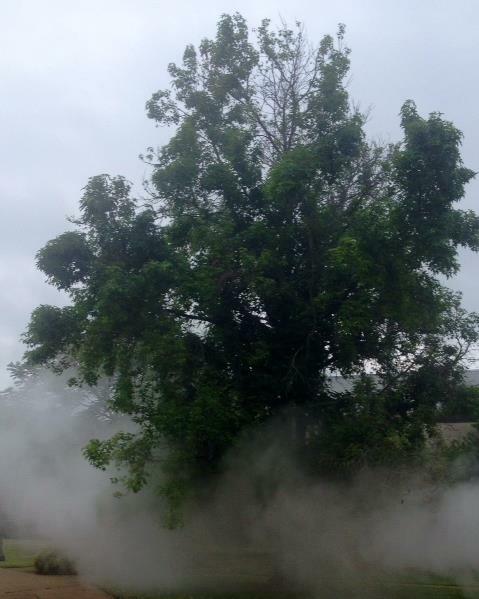 Steam was billowing from a pipe on one of the campus buildings and surrounding a nearby tree. It seemed eerie to me, like special effects you might see in a horror movie, so I added some special effects of my own. 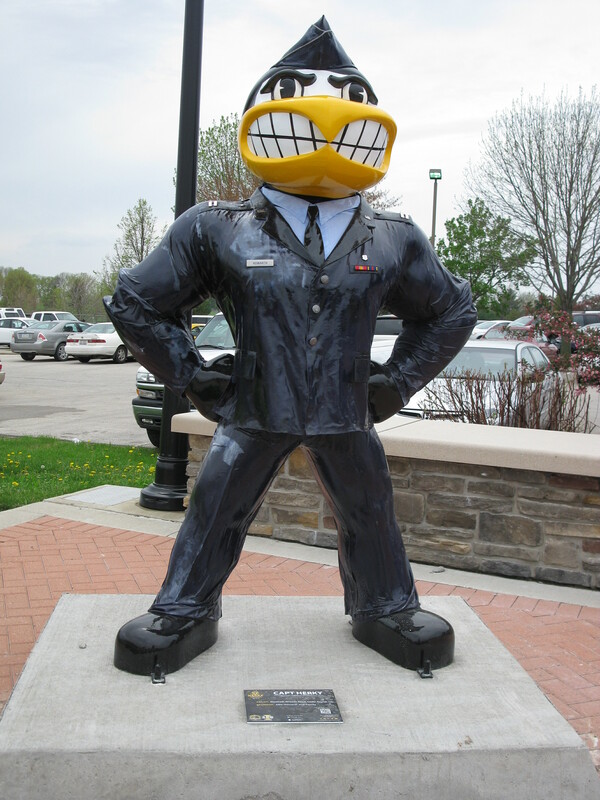 I was driving past city hall the other day, and I saw this statue of Herky the Hawk, the mascot of the University of Iowa. Hmm, I thought. This is new. By nature, I’m a curious person. Maybe it’s the historian in me. I want to know the reasons why things are the way are. 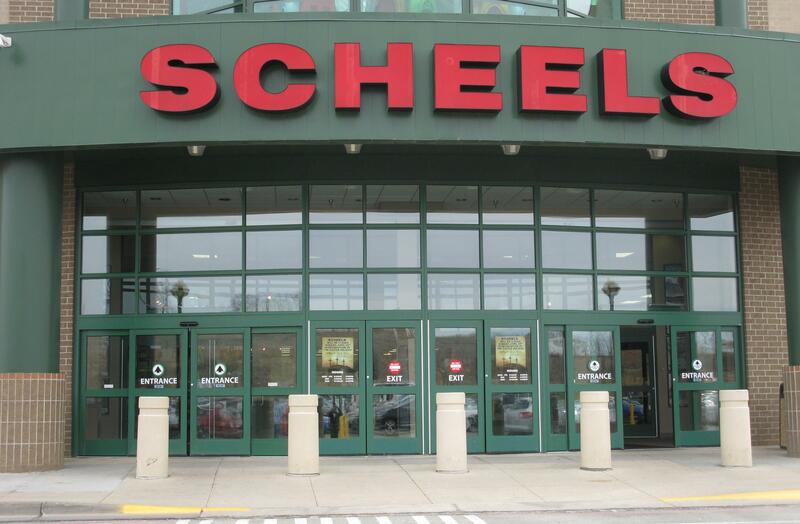 Since I moved to Iowa, I have wondered about the statues outside the Scheels sporting goods store at the local mall. 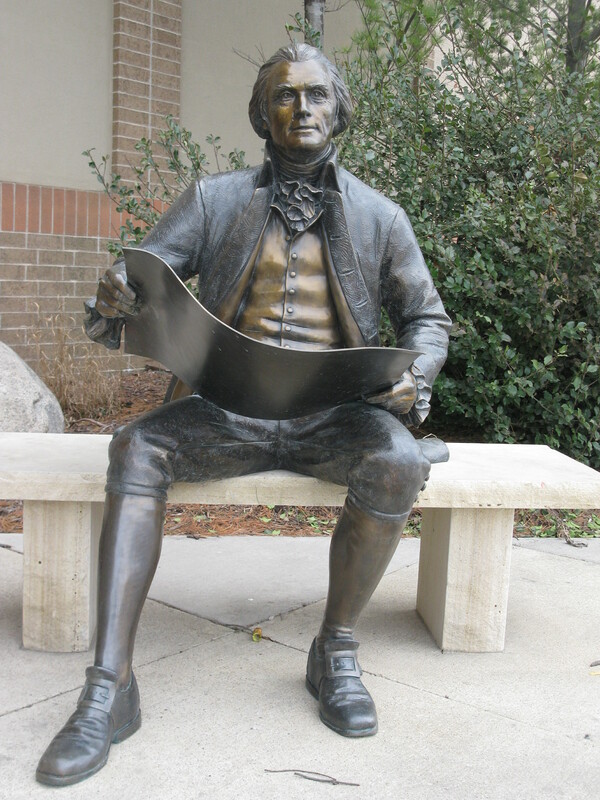 Outside the entryway are sculptures–on the left, one of George Washington holding the Preamble to the Constitution. . .
and, on the right, one of Thomas Jefferson holding the Bill of Rights. 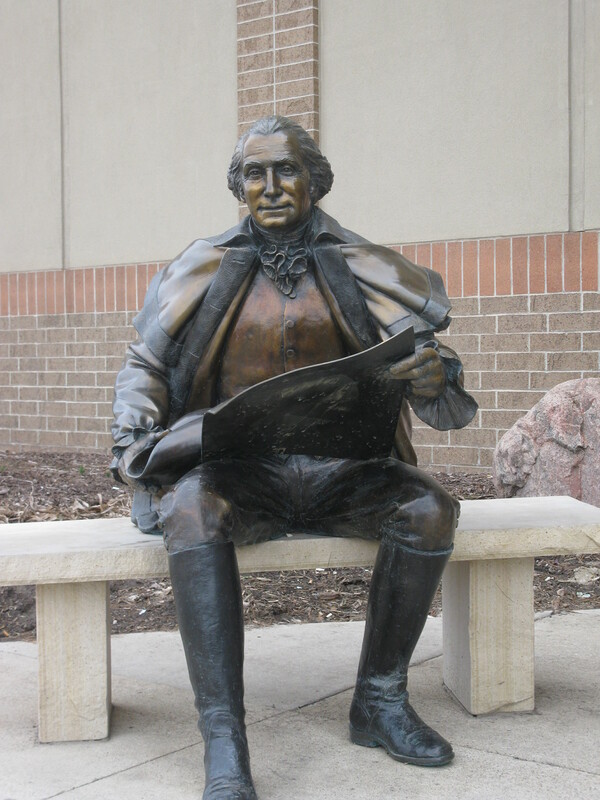 Is it just me, or does a mall in Iowa seem like a strange place to see bronze sculptures of Washington and Jefferson? I wanted to know why they had sculptures. And also why they chose these particular sculptures. I went inside Scheels to ask and was directed to an assistant manager (the cashier didn’t know) who told me that the president of the company is a “history buff,” and he chooses presidents to sit outside each store. That was all the manager knew. Upon further investigation, I learned that Scheels also has bronze sculptures of Abraham Lincoln and Ronald Reagan outside other locations. Statue signature showing it was produced by the Lundeen Brothers. 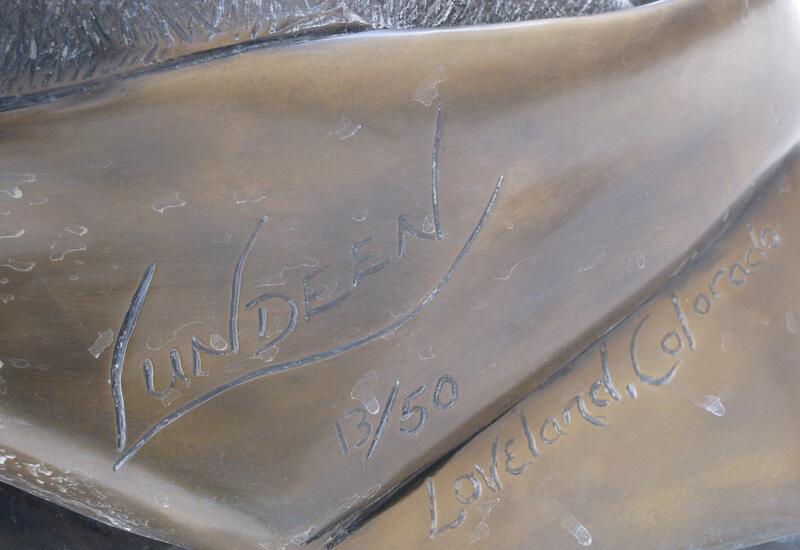 The bronze sculptures are the work of Mark and George Lundeen, who have a studio in Loveland, Colorado. Last Saturday I visited the Herbert Hoover National Historic Site and the Herbert Hoover Presidential Library and Museum, located in West Branch, Iowa, President Hoover’s birthplace. 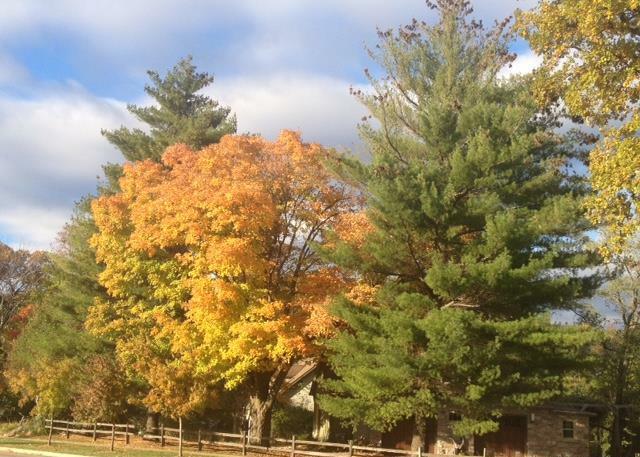 In addition to the museum, the grounds also contains the the cottage where Hoover was born, a Society of Friends Meetinghouse, and the gravesite of Pres. 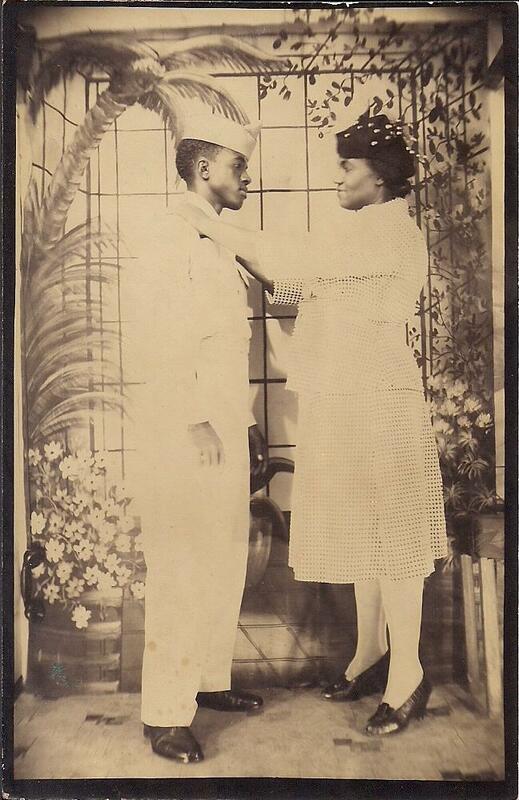 Hoover and his wife Lou Henry. 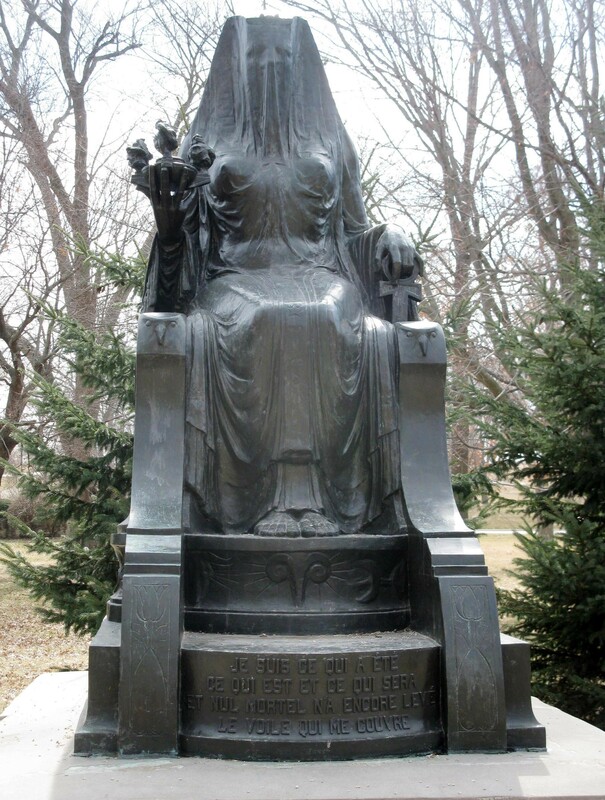 I also found something unexpected, a statue of the goddess Isis. 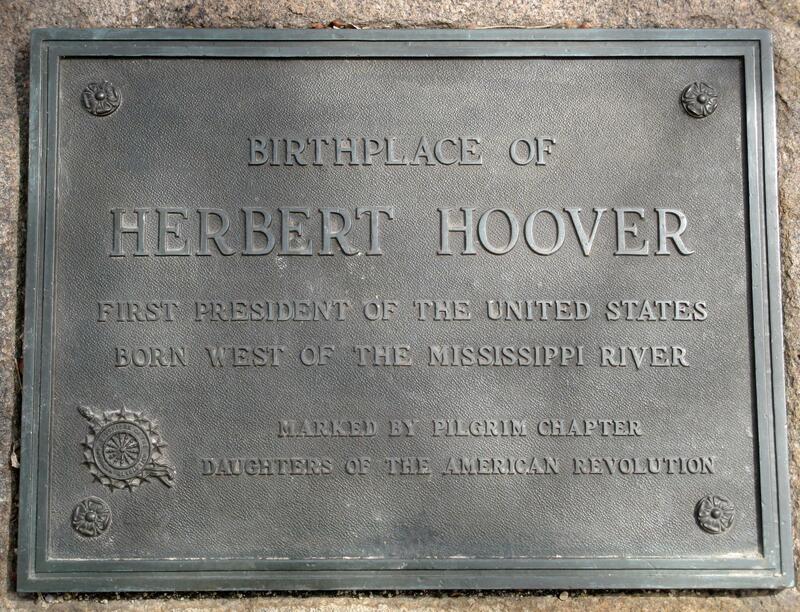 Before being elected president in 1928, Herbert Hoover was known as a great humanitarian. 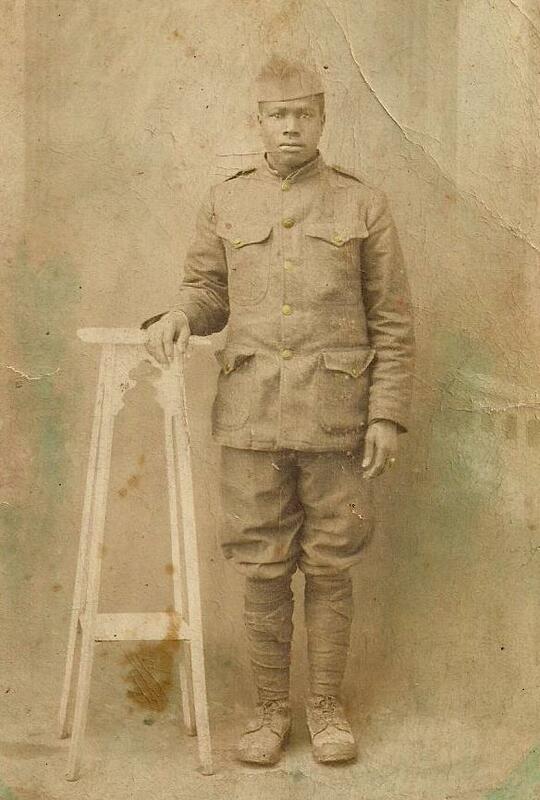 In 1914, during World War I, he became the chairman of the Commission for Relief of Belgium. 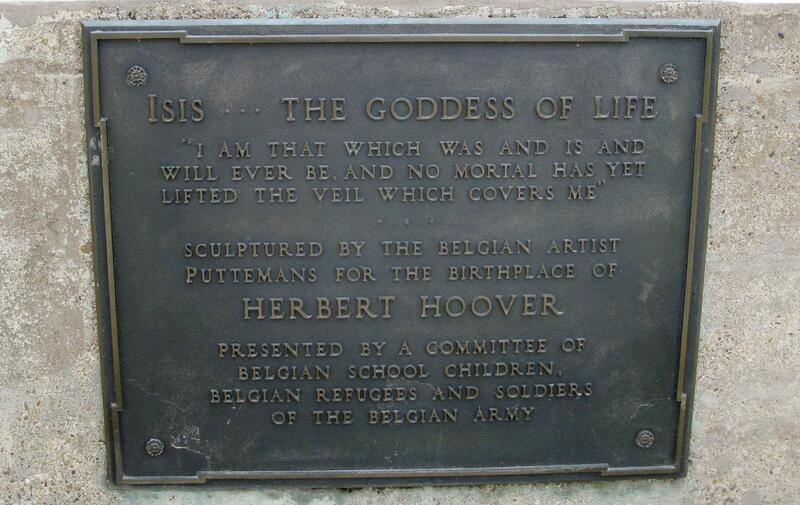 The “children and citizens of Belgium” gave Hoover this bronze statue of Isis, sculpted by Auguste Puttmans, in appreciation of his service. Between 1921 and 1939, the statue resided on the campus of Stanford University, Hoover’s alma mater. But in 1939 Hoover had the statue moved to West Branch. 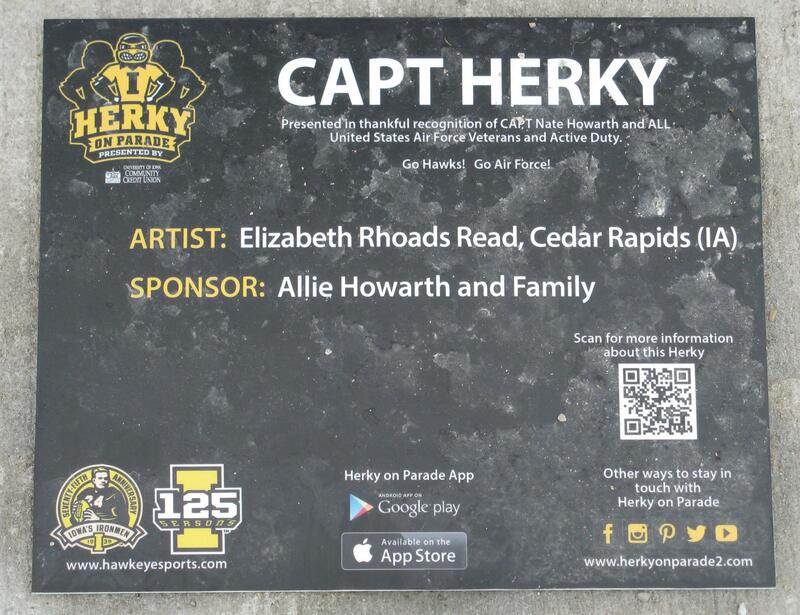 English translation of the French inscription on the statue. 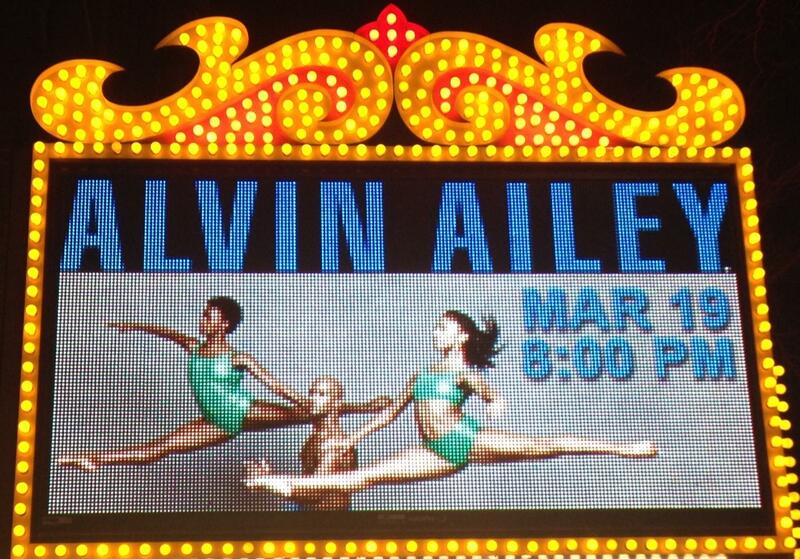 On Wednesday, March 19, 2014, the Alvin Ailey American Dance Theater performed in Cedar Rapids, Iowa. And I was fortunate enough to attend. Oh, Happy Day! Of course, there was no photography allowed, but I did get this picture of the marquee. I thoroughly enjoyed the performance. When they performed Ailey’s critically acclaimed Revelations, it was as if I could see Judith Jamison herself dancing on stage. By the end of “Rocka My Soul in the Bosom of Abraham,” I felt like I’d been to church. After a standing ovation and thunderous applause, the dance company gave us an encore. It became interactive, with the audience/congregation standing and clapping our hands to the music. I clapped so hard and so long that my arms were tired. It was a wonderful night.